The Bwac Show is located in Red Hook, Brooklyn across from “fairway” market at the end of Van Brunt st. The show opens only Saturdays and Sundays from 1 to 6 pm. Come and visit and bring your friends ! This is an example about my next project. “Assamblage” using wax, metal, paper and wood. 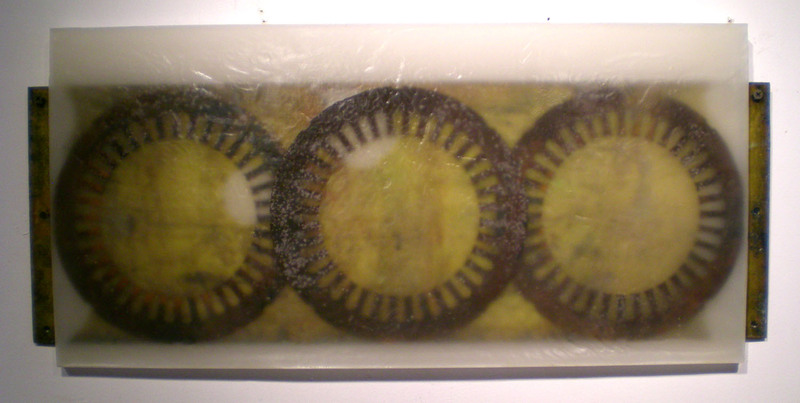 this piece is made with hand made paper in wax. Fall Show is coming ! Fall Show is coming soon . Sept12th is the opening.